1 – Already sprayed with nonstick spray, heat a large skillet over medium-high heat. Add onion and garlic, cook about 4 minutes and stir until tender. 2 – Stir in spinach with onion and garlic. Keep cooking and stirring for about 5 minutes until spinach wilts and any excess liquid is evaporated. 3 – Remove veggies and place in a large bowl and let dry. Add the remaining ingredients and mix well. Then, make four equal sized patties. 4 – Spray a grill pan or a skillet with nonstick spray and put over medium-high heat. 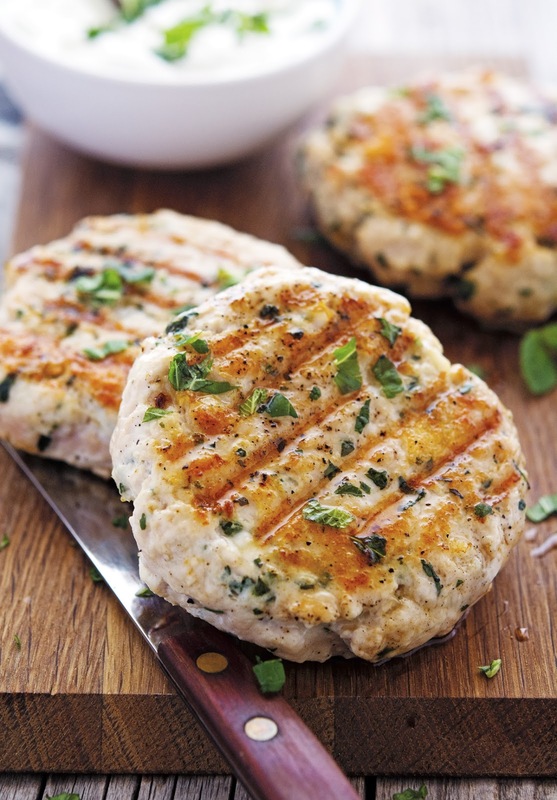 Cook patties for 20 minutes with 5 minutes each side, or until cooked through and serve.